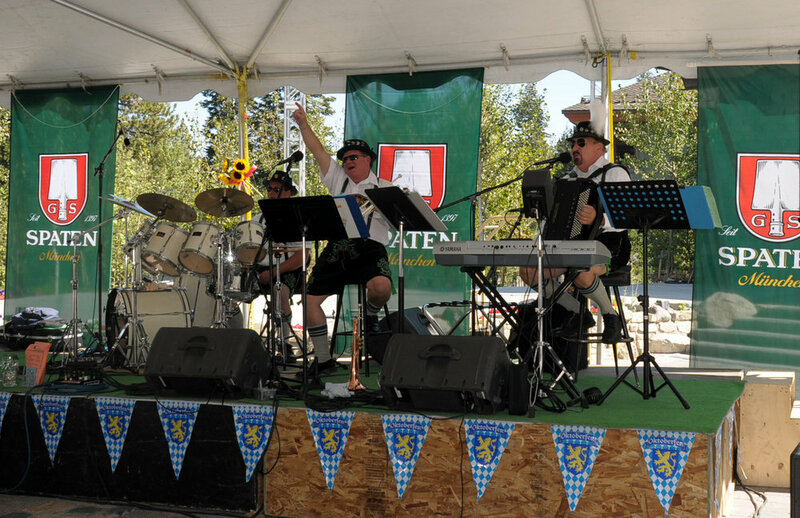 An oompah band at Mammoth's Oktoberfest. 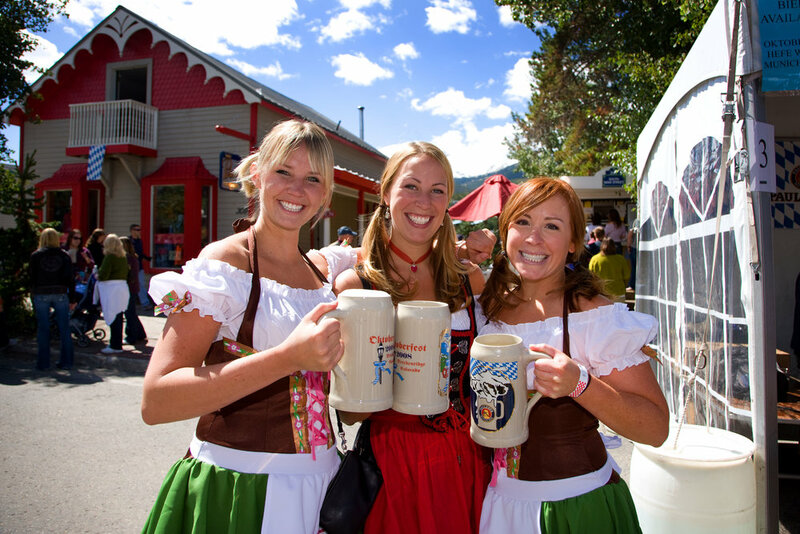 Oktoberfest girls and their steins in Breckenridge. Image by Jeff Scroggins.